Zakir Naik, the Indian Muslim preacher, is one of the Islamic world's best-known 'televangelists'. His Peace TV station, broadcasting in Dubai, Saudi Arabia, and Mumbai, has become influential across the Indian subcontinent and in the South Asian Muslim communities abroad. His latest ten-day 'International Islamic Conference', in Hindi and Urdu, has just finished showing in Mumbai over ten evenings this November. This year Naik's publicity promised the participation of Shaikh Saud Ash-Shuraim, a Wahhabi imam from the Grand Mosque (Haram) in Mecca. It was the second year that Ash-Shuraim lead the Friday prayer at Naik's Mumbai 'peace conference'. Yet his brand of peace has got him into plenty of hot water. He is banned from Britain and Canada for inciting young Muslims to 'practice terror'. He has become notorious for his Wahhabism and his past sympathy for Deobandism, the form of Islam that spawned the Afghan Taleban. In addition, he has indulged in incitement against other practices and interpretations in Islam, most notably Sufi devotions and Shiism, and against non-Muslim believers. He flamboyantly advertises conversions from Hinduism, Christianity, and other religions to Islam 'inspired' by his appeal. Opposition to Naik is localized but severe. He has been censured by leading Indian Muslim clerics, notably Maulana Mufti Abdul Irfan Qadvi, the qazi of Lucknow, who in 2008 condemned his support for Osama Bin Laden. Qadvi called for Peace TV to be banned; that the Indian government investigate its financing; and that Naik be treated as alien to the Muslim community. Nevertheless, coincidentally with his attack on Sufis, whose more mystical tradition dominates Indian Islam, Naik offended Shia Muslims by praising the murderer of Imam Husayn, the grandson of Prophet Muhammad. Last year, Darul Uloom, the authoritative seminary at Deoband, distanced itself from Naik in a fatwa condemning his adoption of 'non-Islamic dress'. His adoption of the Western suit and tie in which he appears commonly, purports to convince his audience of his commitment to dialogue and peace. But the Deobandis are in agreement with Naik in attempting to prevent celebrations of the birthday (Milad) of Prophet Muhammad. 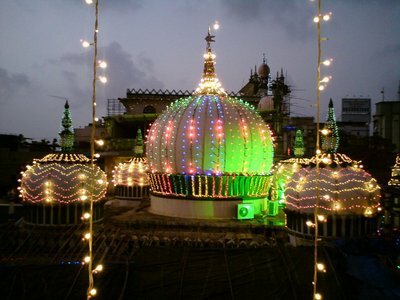 Early in November, the Deobandi clerics of Darul Uloom issued a fatwa forbidding observance of Milad, even though it is an official holiday in every Muslim country in the world, and is recognized as well by countries with large Muslim minorities such as Fiji, Guyana, and Tanzania. The one exception is Saudi Arabia. The fatwa was rejected by traditional Sunni and Sufi clerics but is indicative of the strengthening of Deobandi-Wahhabi ties, evidenced by the visit in April this year of chief imam of the Grand Mosque, Abdur-Rahman Al-Sudais. Proclamation of fatwas and teaching of Quranic interpretation without the benefit of religious training is a long-standing characteristic of Wahhabis and their imitators. Peace TV has featured a number of well-known Wahhabi figures, including the late Ahmed Deedat, who lived in South Africa, the American Siraj Wahhaj, and the Canadian Jamal Badawi. Naik's 'peace' rhetoric may be perceived as conforming to the new phase of apparent conciliation between Pakistan and India. But for several years, Wahhabis, Deobandis and jihadist followers of the neo-fundamentalist Abu'l Ala Mawdudi have felt encouraged to penetrate the traditional institutions of Islam in India such as the All-India Muslim Personal Law Board. Until recently, the board was headed by a member of the Barelvi sect of Sunni Muslims. Barelvis, probably a majority among Indian and Pakistani Muslims, and numerically dominant in Britain, are theological conservatives but political realists, who recognise the Muslim obligation to obey the laws of countries in which Muslims are not a majority. The AIMPLB has become a battleground between the Barelvis and the Deobandis. This is particularly troubling to Indian Muslims as Islam in India has always been Sufi-flavored. Like Britain and the US, India appears to be making the mistake of thinking that accommodating extremist Islamists will facilitate peace. But it will not. Pakistani Hindus are fleeing to India as radicalism increases and the political order breaks down under the rule of Islamabad, which protects terrorists and fosters hatred of India from childhood on. Hindus have been murdered in Sindh. This reality outweighs the emptiness of Zakir Naik's 'peace' vocabulary. His Wahhabi agitation is dangerous for Indian Muslims as well as non-Muslims.